Back in April this year we travelled down to Waitomo and further on to the west coast – see Magnificent meanderings to Marokopa. 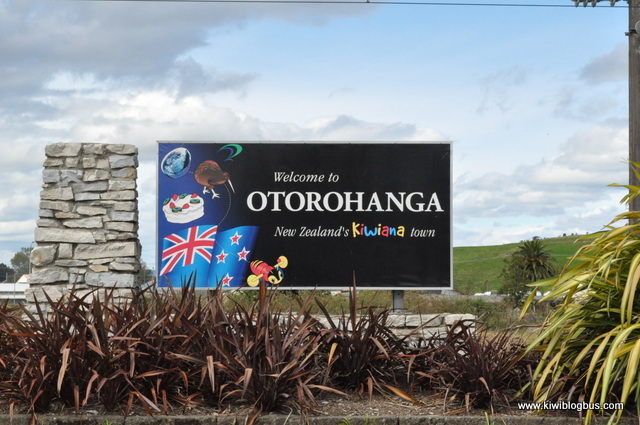 On our way down we went through Otorohanga , the official Kiwiana town. The Kiwi Blog Bus recently took us to a magical location where we were not only awed by the amazing feats of nature but well and truly gobsmacked by it. 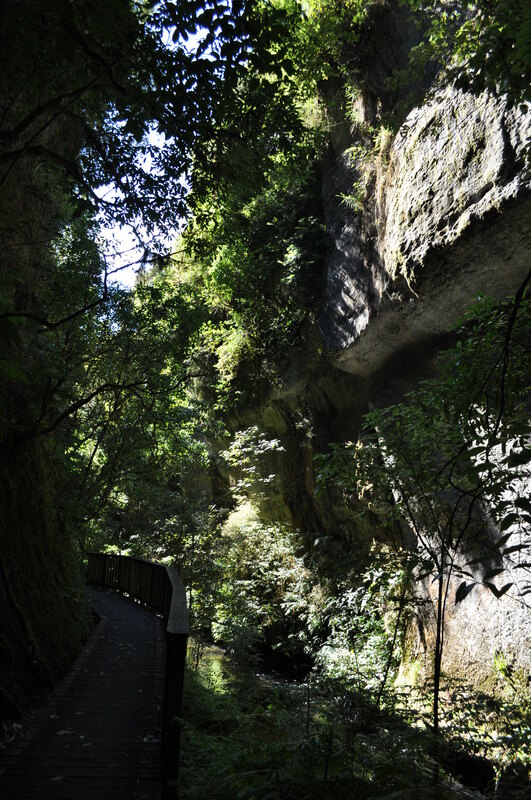 I’ve already said the road from Waitomo out to the west coast is simply stunning, read magnificent meanderings to Marokopa, but the highlight of the scenic trip has got to be a stop at Mangapohue natural bridge. 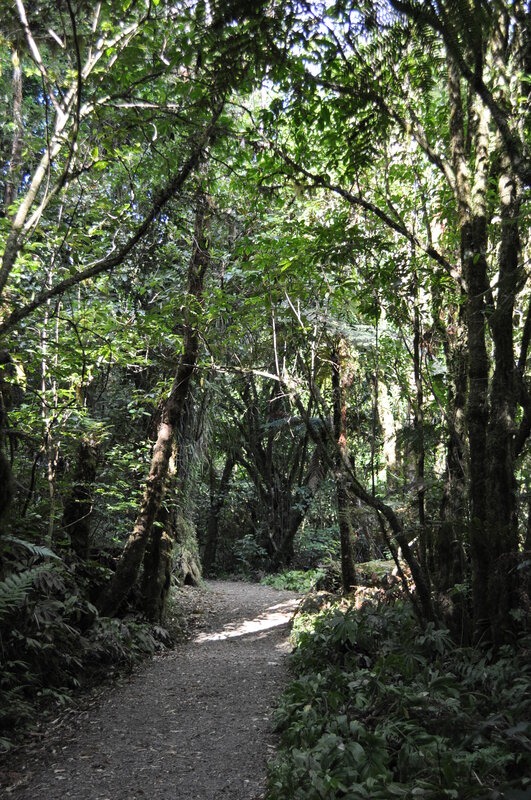 A short stroll on a riverside boardwalk takes you along the Mangapohue Stream through a steep limestone gorge and into the remains of an ancient cave system. A 50km drive out west of Waitomo will lead you through an amazing limestone landscape to the historic west-coast fishing village of Marokopa. 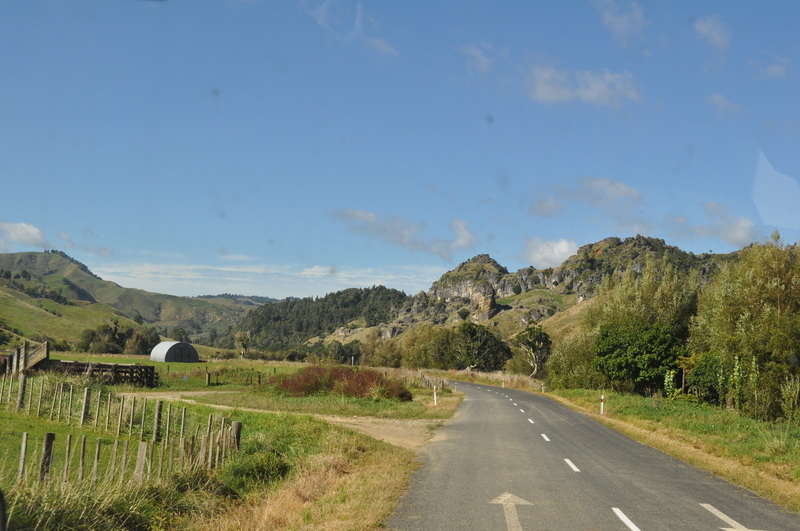 We recently took the scenic route from Waitomo Caves (after we had stayed at Woodlyn Park), and I was blown away by the views along the way. Quite often I get asked what I miss about not living in the UK anymore, but I’m not a whingeing pom and don’t begin to rhyme off a list of groceries. I’m a very happy honorary kiwi, however if pressed on the subject I would have to say I miss the history and the architecture of old buildings. And I especially miss castles. 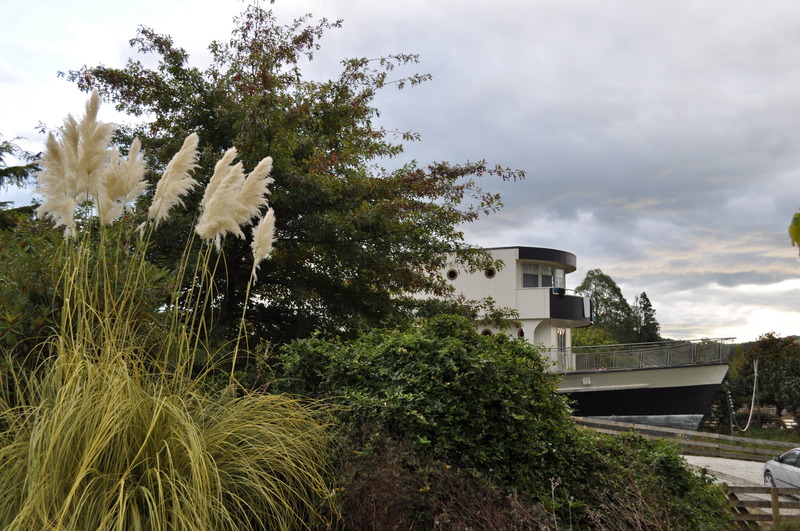 But… I have to reinforce that I totally love the old New Zealand buildings. I love the colonial style of many towns and buildings here and really enjoy visiting and learning about historic places. 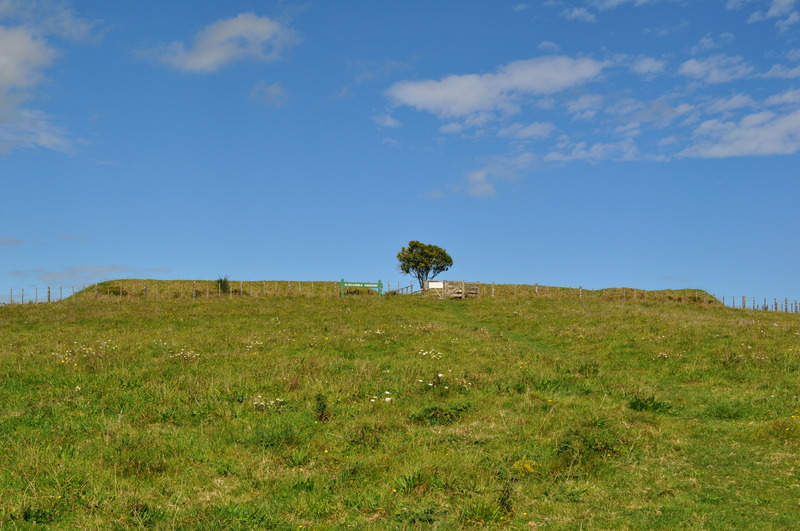 So although it isn’t a castle I was very happy to visit Alexandra Redoubt which is listed on the NZ Historic Places Trust and is one of the best preserved earthworks of the New Zealand Wars. It’s fair to say that we do see some unusual sights while driving around New Zealand in an old Japanese school bus, but down in Waitomo we were a little bewildered to see a very large boat placed in a field near a Bristol Freighter plane and an old railway carriage. Woodlyn Park also caught our eye as there was a large roadside sign saying Free campervan parking.